It can take a great deal of hard work, skill and usually money to drive significant amounts of traffic to your website. Converting those numbers from mere observers to actual customers involves an entirely different set of skills. But, getting potential customers to actually visit your page is half the battle, so once you’ve achieved that, don’t let it go to waste. Make the most of each and every page visit, using these 7 tips, so you’re seeing the highest possible conversion rate. Over time, you’ll develop a large library of resources for your customers to reference. Make it easy for them to access all of that information by keeping it organized and search engine optimized. An On-Page Optimization Tool can help you determine if each element of your page is reaching its full potential, by seeing things through the eyes of the search engine. And, if you’ve decided to add outside sources, by sure to properly reference them with Cite It In, and always add a few words about your thoughts on this resource. 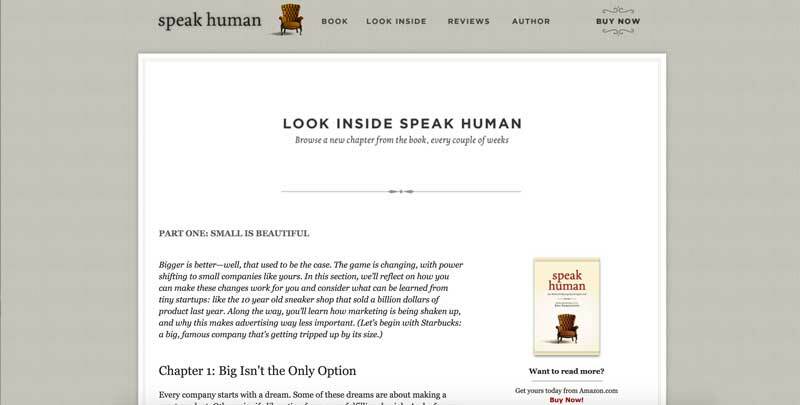 Speak Human aims to teach individuals to enhance their marketing skills, with their website centered around sales of the book of the same name. On top of the information customers will receive in the book, all website visitors can access a number of videos through their YouTube channel, stay updated through Twitter and connect on Facebook to ask questions and get more information. While websites are a great home base to centralize all of your information and activity, a large number of your audience is likely using some form of social media. And, for the most part, those people who use social media are regularly engaging with it. According to PEW Research, almost half of Facebook users access it multiples times per day, and nearly ¼ of Twitter users say the same of their accounts. So, staying active on these platforms can help you remain in front of your customers’ eyes and at the forefront of their minds. One company that’s having fun with their social media outlets is Denny’s. They understand that it’s not just a matter of posting anything and hoping it grabs the attention of customers. Through their posts, they give their followers fun and interesting things, even things that aren’t necessarily related to their product. When you’re putting together your postings for these platforms, there are limitations for the number of characters that will be displayed or allowed. A simple Easy Word Count tool can ensure your message will fit within the limits and be fully received. Of course, we’ve all heard about this technique – using keywords to maximize our presence within a search engine. But, it’s not just about jamming your content full of the keywords that people will be searching for. It’s actually a fine balance to find the right number of keywords – and the right keywords in general. Use too many and your content will sound awkward and off-putting. Use too few and you won’t get the desired effect. A Keyword Density Checker can tell you if you’re within the ideal 2-3% density range, while the Wordstream Free Keyword Tool can help you narrow down the most effective keywords to use. Varying the keywords you use can also help maximize the impact of those keywords. Putting yourself into the shoes of a customer searching for your product, try thinking of the different possible variations they may search for. If you sell loose-leaf green tea, try varying the combination of words you use, such as ‘buy loose leaf green tea’ or ‘benefits of loose leaf green tea’. Depending on who you’re trying to reach, you will select different methods to reach them. And, the type of content you’ll be creating will directly relate to how it’s being disseminated. 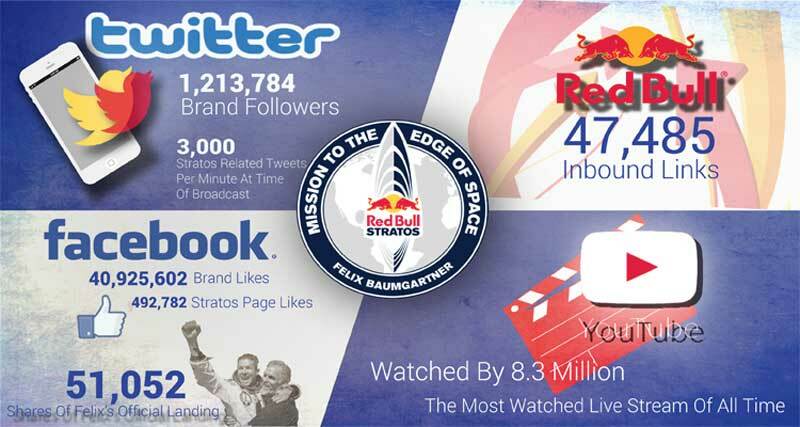 Promoted as a high-octane drink that boosts energy, Austrian-based Red Bull became globally recognized through its involvement in sponsorship of extreme sporting events. They recognized what direction their audience would already been looking towards, and place themselves directly in their line of sight. Professional writers at Essayroo can help you create content suitable for any audience and any medium. Gaining the trust of your readers is one of the most important steps towards asking them to part with their money, in exchange for your products or services. When you’ve got mistakes dotted throughout your content, it does not reflect well on you or your company, and can seriously impact the trust someone has in your abilities. H&M had a seriously embarrassing mistake printed onto one of their shirts – and it made it all the way to the sales floor and website. The irony of the misspelling of the word ‘Genius’ did not go unnoticed by their customers. If you need a little extra assistance while creating your content, you can always reference the collection of resources at Academized or Assignment help to answer tricky writing questions related to grammar or punctuation. Or, alternatively, an automatic checker like SlickWrite will scan through and pull out any mistakes it detects. If you’re looking for something that works in real-time, ProWritingAid can be downloaded to work right on your device, proofreading as you type. Sure, you could have some of the best information out there, but if a reader sees that it’s been quite some time before any new content has been added or changes have been made, it cause them to second guess what you’ve got to say. There’s a certain level of trust that’s inherently given to websites that provide regular updates. Not only that, but search engines love to see new activity, so they’ll score you higher in their rankings, making it easier for readers to get to that newly updated content. Creating all of that content can be a full-time job unto itself, but there’s a solution in the form of online writing services, such as Ukwritings or Boomessays who can write, proofread and edit all of your written content for you. What your potential customers are looking for is information that they can actually use, that’s helpful to them in solving some problem or answering some question they’ve got. They don’t have time to read through pages of endless text that leads nowhere. Give them something they will be happy they read – and, if they find it helpful and informative, they’re more likely to pass it along to others. Nike put together an exceptionally effective and inspirational campaign, where they promoted their new products through a series of ‘training kits’, tailored towards a variety of sports and activities. Not only were they marketing their own items, but they gave their customers a sense of inspiration and motivation to get involved, and made it easy for them to know exactly what they needed to do so. Don’t let the hard work you’ve put towards getting readers to your website go to waste. Convert the highest rate of readers possible with the help of these content marketing tips, so you can boost the success of your online business and reap the rewards. Gloria Kopp is a web content writer and an elearning consultant from Manville city. She graduated from University of Wyoming and started a career of business writer, now she works as a part-time blog editor at Oxessays. Besides, she is a regular contributor to such websites as Studydemic, Engadget, Huffingtonpost etc. Read her latest post here.